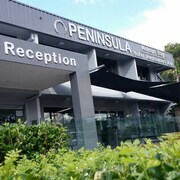 Situated in Nelson Bay, this hotel is within a 15-minute walk of Myall Lakes National Park and Dutchies Beach. 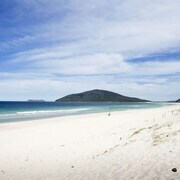 Tomaree National Park is 1.2 mi (2 km) away. 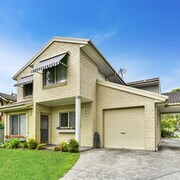 The location is close to the centre of Hawks Nest, very convenient. Ferry to Nelson Bay is very close as were the small shops in Hawkes Nest. ferry to Nelsons Bay, fishing/swimming at Jimmys Beach or Hawks Nest. Loved the glamping tent, even for a non camper. Super super loud at night tho, all night. Hundreds of bats above, possums etc. We love the wildlife and hubby camps a lot. He said this was extra loud screeching tho. Unfortunately none of us could sleep through it. Poss due to full moon but it did take the edge off. 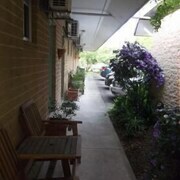 The property was in a great position, apartment was set out lovely and clean. The downfall for us was the loud noise from apartment above. Not sure if it was a loud movie but it echoed straight into our unit with a loud thumping noise - not very well insulated. This was outside your control but insulation may be considered. Not sure if TV had a sound bar attached but it certainly was loud! Reception greeting was wonderful. Which hotels are closest to the Hawks Nest airport? Where to stay near top Hawks Nest attractions? What kind of hotels are in Hawks Nest? Which hotel chains are in Hawks Nest? Visitors are sure to enjoy the beaches and gardens in Hawks Nest. This city attracts tourists with its relaxing and welcoming ambiance. The beaches, riverfront, and gardens exemplify the natural beauty, and places to visit include Myall Park and Winda Woppa Reserve. A couple of additional sights to visit while you're here are Hawks Nest Golf Club and Dark Point Aboriginal Place. As you plan your vacation, you'll find 5 hotels and other lodging options to select from in Hawks Nest. 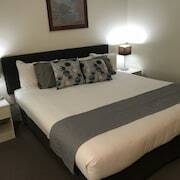 Hawks Nest Motel - This 3.5-star motel features an outdoor pool, free WiFi, and free parking. 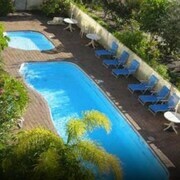 Expedia travelers love its beach locale and clean rooms. 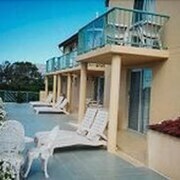 Ocean Side Hawks Nest - With a stay at this 3.5-star motel, guests have access to a restaurant and an outdoor pool, along with in-room refrigerators. Our customers like its family-friendly amenities and restaurant. 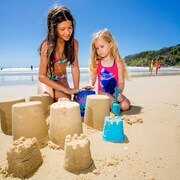 Along the Mid North Coast region of New South Wales, roughly 50 km north of Newcastle and 220 km north of Sydney, is where you’ll find the seaside town of Hawks Nest. This oddly shaped swath of land between the Tasman Sea and the Myall River measures less than 17 km long and shy of 2 km wide. The local terrain largely consists of bushland, and the entire population, which is only about 1,000 people, lives within an area that accounts for just 5% of Hawks Nest’s landmass. 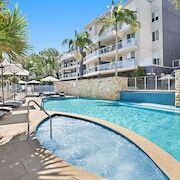 A variety of resorts, shops, and cafes attract many visitors, as do the many opportunities to go snorkelling, diving, golfing, and bushwalking. 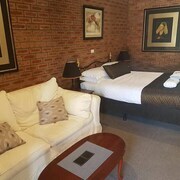 When you book a room in any of the Hawks Nest hotels, you can experience the best of what this town has to offer. No matter if you’d rather book a room in one of the cheap Hawks Nest motels or in any of the upscale resorts in the area, you shouldn’t run into any trouble finding the perfect place to stay. 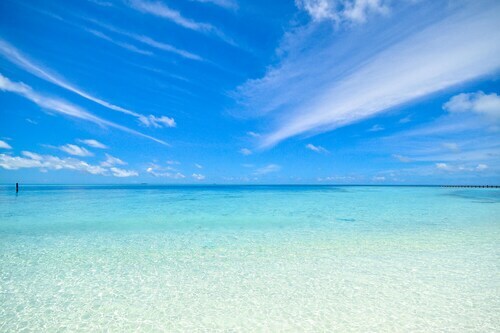 Most of the options are within a short walk from the water, though there are a few resorts inland as well. 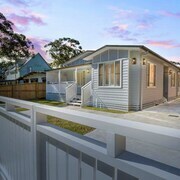 Many of those travelling to Hawks Nest from outside the region get here by first catching any of the flights to Newcastle, as that city has the nearest major airport to the area. If you’re touching down on that tarmac, you can easily catch a car hire to take into town, or ride on any of the country and city rail services that cruise through here. Plus, there are also taxis, limousines, and ferry services to get you where you’re going. Don’t wait another second to start planning your Hawks Nest holiday. 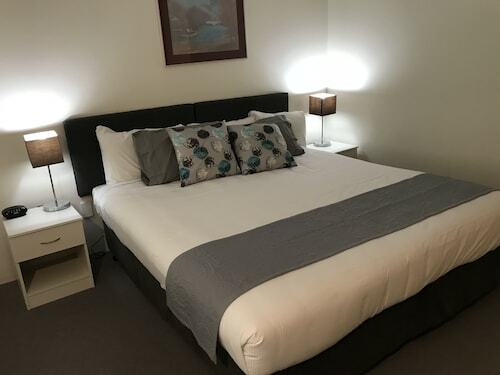 Expedia.com.au has an incredible selection of Hawks Nest accommodation deals, allowing you to quickly find the best room for the cheapest price. 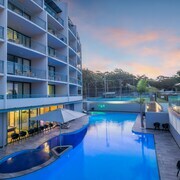 We even have a variety of Nelson Bay hotels to choose from if you’d rather stay on the other side of Port Stephens. 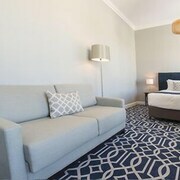 No matter where you’d prefer to rest your head while in Hawks Nest, count on us to take good care of you. What are the most popular hotels in Hawks Nest? Are there hotels in cities near Hawks Nest? 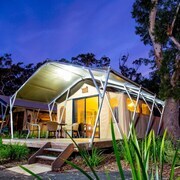 Explore Hawks Nest with Expedia.com.au’s Travel Guides to find the best flights, cars, holiday packages and more!